This listing offers spacious open plan office space, in a beautiful grade II listed building. 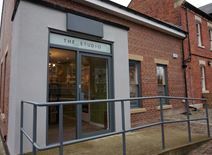 The office space is located in an attractive area of Jesmond, only one mile from Newcastle City Centre. There are an array of independent shops, cafes and bars located within walking distance, on Brentwood Avenue, Clayton Road, Osborne Road and Acorn Road. The office space has original features throughout, kitchen facilities and secure car parking spaces. This is a fully serviced business centre offering competitive terms. A variety of spaces are available, including interview room and archive. This is a friendly collaborative atmosphere which is sure to help your business to grow. Just 2-minutes from the centre of Newcastle, this centre is easily accessible and close to the Quayside, where you can take a stroll and enjoy some of the many bars and restaurants. This attractive multi-storey building provides quality office space and benefits from secure parking on the north side of the Cloth Market in the heart of the central business core of Newcastle City Centre. Amenities include meeting rooms, a reception area, lift access, a business lounge, break-out areas, vending machines, IT support, an on-site management team and secure parking, which is perfect for commuters. High spec offices boasting the very latest in communication infrastructure with phone, broadband and free furniture. Situated on the northern side of Collingwood Street and is approximately 200 metres to the east of the Central Railway Station, where there are excellent connections and access to the local metro system. Collingwood Street links with Mosley Street and the Central Motorway within approximately 400 metres. 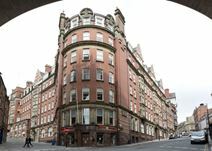 Grade II listed Edwardian building in the heart of Newcastle City Centre. The business centre that is situated within provides offices of various sizes on flexible terms and offers an abundance of natural light, bike storage and breakout area with kitchen. Newcastle has excellent transport links, with connections to London from the Central Railway Station, and the Tyne and Wear Metro running throughout the city and the region. Located in the heart of Newcastle, on Dean Street, this area has recently benefitted from significant investment. The office space itself is modern and high spec and has an open plan layout. Spread across two floors of a contemporary building, this serviced office provides modern high-quality office accommodation. The spaces are highly flexible and can be adapted to meet your needs. This centre is situated above Newcastle Quayside, in close proximity to local transport connections. There are good transport links, with Newcastle Central Railway Station within easy reach, as well as Newcastle International Airport. 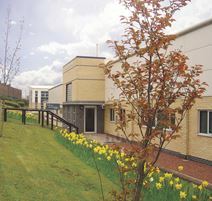 The business centre is located to the north of Gosforth, just outside of Newcastle City Centre. Transport links are great, with access to the Tyne and Wear Metro system via South Gosforth and Regent Centre Stations, both of which are just minutes away. The system provides links to Newcastle City Centre, where there are rail services further afield, as well as to the Airport and to destinations on the coast. The space is accessible 24-hours a day, with the addition of security, for added peace of mind. 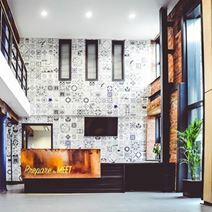 This recently refurbished building offers unique and dynamic office space with a chic design to provide you with the perfect contemporary office space. With LED lighting throughout, brand new flooring, shower facilities and wall-covering, the building is up to date with the latest high-spec interiors. 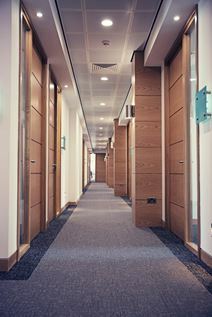 Floors can be split into suites or partitioned to provide space for meeting rooms or private offices, providing you with the ideal flexibility. The building is accessible 24 hours a day and an onsite concierge alongside ongoing reception services will provide you with assistance throughout your working hours. Located in the heart of Newcastle City Centre, you're within walking distance of the local Metro service, as well as just a 10 minute walk from Central Station, where you can access London in under three hours. Take advantage of your prime location with the abundance of local restaurants, shops, cafes and bars on your doorstep, giving you plenty to do in your out of office activities. The latest office development at Hoults Yard, Newcastle upon Tyne, 6 ground floor and 16 first floor offices available to let. Existing tenants within market areas of media, digital, marketing, legal and manufacturing. 24 hour on-site security and extensive parking available. Easy access to Newcastle City Centre with good public transport links with, Quaylink bus heads into the city centre every 20 minutes’. These offices are situated just off the Coast Road, overlooking the famous Wills building. These spaces have recently been renovated to a high standard, and offer a range of amenities at low rental costs. Flexible contracts are also available. This modern serviced office centre is ideally placed just four miles from the centre of Newcastle, and provides a range of spaces, on flexible terms. Offering the latest in hi-tech IT infrastructure, this is a comfortable and impressive business address. This space in the heart of Newcastle is less than 10-minutes from Newcastle Central Railway Station and within a short walk of access to the Tyne and Wear Metro system. With super-fast internet access, meeting room availability, car parking spaces, bike storage, reception services with telephone answering and access to kitchen facilities, this is the perfect office space in the Newcastle area. The space is accessible 24-hours a day, and the natural light flowing through makes for a pleasant working environment. Victorian style building with a modern interior located in the centre of Newcastle. Full technical and secretarial facilities are available with flexible term contracts on offer. Services include a professional onsite management team, full reception facilities, meeting rooms and 24 hour access. A few minutes’ walk from Newcastle Central Station and within easy access to the city's retail and business facilities. Nearby public car parking is also available. Offering 1,400 sq ft of conventional office space, this centre provides Grade A business accommodation with superb views of the river. Parking is available on-site, and the centre is located on a business park about 1 mile to the west of Newcastle city centre. Newcastle central Railway Station offers great rail links across the country, and Newcastle International Airport can be reached easily by car, or by public transport. located in Jesmond, a trendy suburb of nearby Newcastle-Upon-Tyne, this recently refurbished centre is well equipped with excellent facilities. These include fully furnished space, a boardroom table, office cleaning, secure parking and access to kitchen facilities. Nearby, there are bars, restaurants, and some independent, boutique cafes. Newcastle City Centre has further eateries as well as fine places to stay. Modern serviced office building with flexible terms available, in a superb riverside location providing stunning quayside views of the famous Tyne Bridge and the Millennium bridge. Services include air conditioning, car parking, 24hr access, security, reception staff and support teams, state-of-the-art technology, professional meeting rooms, video conferencing facilities and a cyber café. Conveniently located only a 15 minute drive from Newcastle International Airport and a 5 minute walk from Newcastle station. Local shopping and leisure facilities are within easy reach too. Providing office space for one to 1,000 people this renowned North East office location has units starting from 138 sq. ft. and serviced offices to large floorplates. On-site fitness facilities, café and hairdressers are added benefits to tenants while the location also benefits from excellent rail and road links. 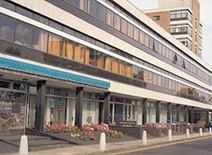 Based in the famous Regent Centre, this centre offers a range of offices of varying sizes making it a exciting proposition for businesses of all sizes. For drivers, there is car parking onsite and easy access to the A1 motorway. The centre also has central heating and suspended ceilings. The centre also benefits from brilliant transport links, with Regent Centre metro station a stone's throw away and Newcastle International Airport also in the close vicinity. Modern serviced executive grade office accommodation ranging in size and all linked to a centralised reception area. Business services available include secretarial support, telephone answering, fax, photocopying and incoming/outgoing mail handling. Situated on the outskirts of Newcastle city centre and less than 1.5 miles from the A1 Western Bypass, Newcastle International Airport a few minutes’ drive away. This centre boasts a fantastic Jesmond location with good transport links. The office occupies the first and second floors of the building and is suitable for a range of uses. The space has been finished to a high specification, with double glazing and air conditioning. The office benefits from great natural light, its own kitchen and great amenities on the door step. The space fits 10-15 people depending on the office configuration. Six purpose built units providing office accommodation on flexible terms. Located in the Shieldfield area on the edge of Newcastle City Centre. Excellent transport links with nearby Metro stations and bus routes, as well as Newcastle Central Railway Station, which offers frequent, direct services to London Kings Cross. The offices are air conditioned, and reception services are included. The space is accessible 24-hours a day. With a superb range of amenities including state-of-the-art IT infrastructure, these modern managed offices are well-equipped to accommodate your business. The space is situated close to mainline train services from Newcastle Central and lies next to the A6082, providing direct access to the A1(M). The city of Newcastle offers lots of places to eat and drink, as well as museums, music venues and the fantastic Quayside area. Business centre offering flexible workspace for companies looking for workshop, office or storage premises within a quality office building close to the A1 and Newcastle City Centre. With inspiring views across to the River Tyne, this modern facility is purpose built to provide a range of quality offices on flexible terms to suit your needs. The centre is ideal for a range of business types. Newcastle is a buzzing city with excellent nightlife, as well as some great restaurants and cafes. Transport links are strong, with the Tyne & Wear Metro running across the region, and Newcastle Station providing intercity services.